Social media in last one week has completely been topsy- turvy with the trending topic of the 10 year challenge.The vast world of social media has been flooded with millions and millions of photos of celebrities, actors, sportspersons and almost all the users of Instagram and Facebook. Was it just a fun to share the change ? Or an excitement to profile and highlight the success of life in 10 years? Few people posted their social status difference through this challenge and some boasted of not being old in the last few years. NEWS12ISLAND shares Technology and social media expert Lance Ulanoff views saying that the 10-year posting trend should serve as a reminder about what kind of data is shared on social media or through things like quizzes that ask for all sorts of information, personal or otherwise. On its part, Facebook has come out with a clarification that it has had nothing to do with the 10-year challenge trending on social networks such as Facebook, the Facebook-owned Instagram and even Twitter, for that matter. “The 10 year challenge is a user-generated meme that started on its own, without our involvement. It’s evidence of the fun people have on Facebook, and that’s it,” says the social network, in an official statement. – shares NEWS18, a popular news channel.Whereas another international news portal BBC speaks on a larger and global measure of the 10 year challenge . It showcases the situation of the world in 2009 in comparison to 2019, where humanity, worldpeace , nonviolence have gone for a toss. GREENPEACE, a global organization tries to highlight the climatic changes through it’s twitter post . You can even find the most funniest and satirical memes here at BOREDPANDA. 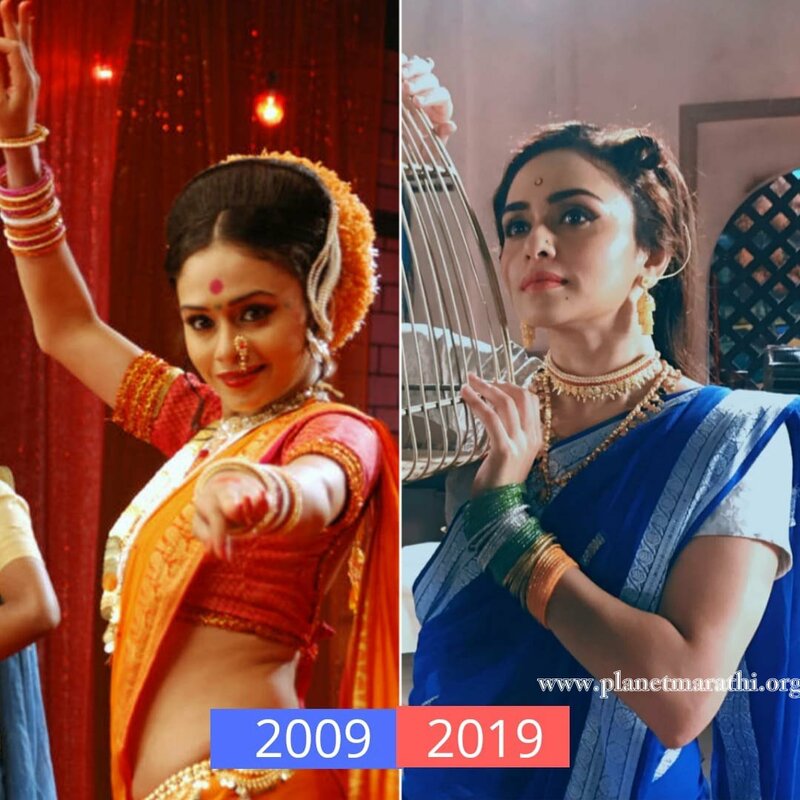 Some of the eminent Marathi celebrities like Amruta Khanvilkar, Amey Wagh and others too joined the bandwagon and went ahead to share pictures of their last 10 year journey. Their photos reflected their transformation as actors . We appreciated and were floored by their work in last decade which showed great potential and calibre of these actors to carve a niche of themselves. Definitely , this 10 year challenge has spiked so many different thoughts and ideas into everyone’s mind, that we are able to witness a variety of conglomerated thoughts . Hope such a trend someday would bring more insight into the life and living of people of our place, state, nation to ignite the change that shall rectify the old mistakes and errors of society.We, as a society can bring so much change in the thought process, trends, process and traditions of our living which are amicable for all. For now, we are enjoying the beautiful facets of life and appreciating the large heartedness of people , those who have had the heart to pull through the thick and thin of their lives in the last 10 years, irrespective of issues which we may or may not have known, sharing the smile and happiness with us. It isn’t easier, a decade and still wear that smile and courage to pull on. Ageing gracefully and with poise , everyone learns the complacency of life as they mature and age. Cheers to another set of 10 years ahead & lets us see what we have in store for 2029.